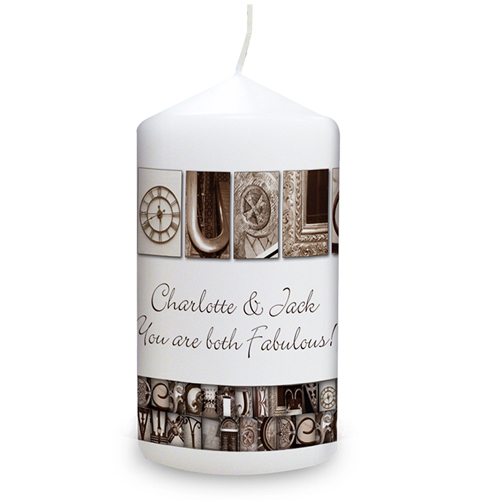 Personalise this Affection Art Couple Candle over 2 lines and up to 25 characters per line. The image is made up of different architectural images to display the word Couple. Ideal for Anniversary, Wedding, Engagement. Personalise over 2 lines and up to 25 characters per line.